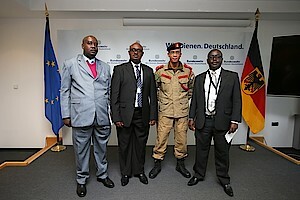 From 14 to 24 November, BICC conducted a training course „Executive Level Course on Weapons and Ammunition Management“ in Berlin und Geilenkirchen in close cooperation with the German Federal Foreign Office, the German Ministry of Defence and the Bundeswehr Verification Center. “The key to sustainability is building local capacities for arms control in Africa”, says Wolf-Christian Paes, Head of Advisory Services at BICC. To reach that goal, BICC has been supporting a “Training-of-Trainers” programme together with RECSA and the German Armed Forces. 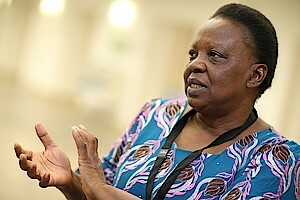 Regional training activities have been taking place in Kenya’s capital Nairobi since 2012, and the African instructors have carried out training activities in more than ten African countries from Nigeria to Sudan. 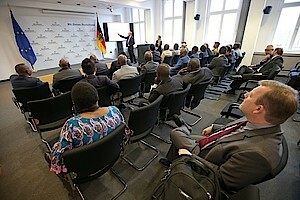 In addition, the third Executive Course on Weapons and Ammunition Management brought together 24 representatives from 16 African states for two weeks in Germany. 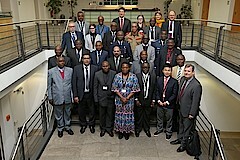 They received insights into political processes on small arms control and a practical introduction to physical security and stockpile management (PSSM) of small arms and ammunition.